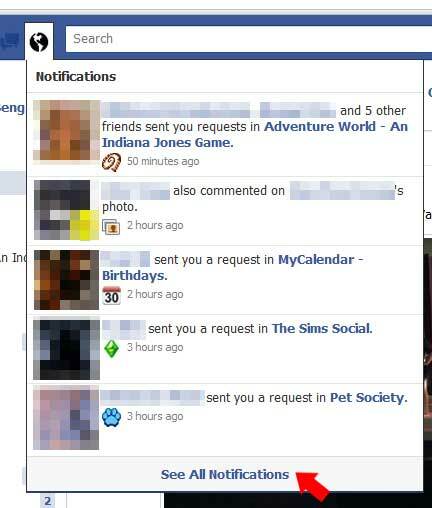 after the new update on facebook, we are now able to hide those game request notification in facebook. first, click on the notification panel, then click "See All Notifications". then find the unwanted notification, and find the "X" hidden on the right hand side of the notification. click the "X" then click "change app settings". the notification setting windows will be pop up for that app/game, choose "Never" and click "Save Settings". done, that application/game notification will not show again.